Welcome to the website for Matthew E. Clayton. This will always be a work in progress. In many detailed journal entries, (Found in Web Log page) a former U.S. Navy Corpsman reflects upon the 40 days and 40 nights he spent in Iraq, healing and fighting side-by-side with United States Marines on the front line. 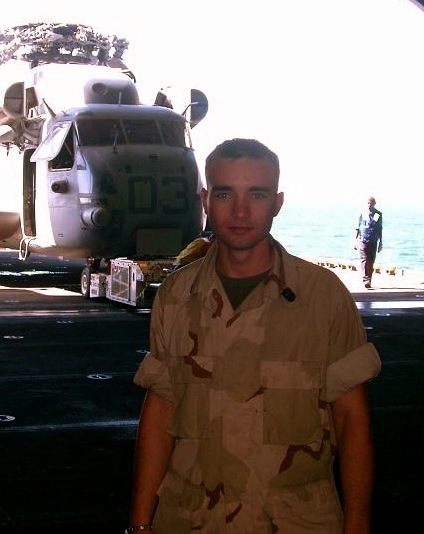 In 2003, the college senior hoped to complete his education and teach algebra at the college level once he finished his tour in Iraq, and Naval service. His journal would eventually come to describe internal results from the series of events that took him completely around the world, and a war, by plane, Humvee, warship and of course on foot – going through every time zone on the planet…twice. Here in these pages and stories, Matt will share — as time permits and he is able — his spiral up from an abyss and his ongoing journey away from a lower place.